JUST ADDED A 4TH FULL SHOWER! It's quiet. It's private....Home has TONS of space with large rooms AND GREAT LIGHT. Incredible Meadowbrook location next to and amongst new construction, over 3/4 acre park-like setting, 4-6 bedrooms w/ finished basement, craft room, paneled study, and screened porch, this contemporary home offers an open floor plan, luxury living and great views/natural light less expensively than ownership. Popular Kipling School and walk to Deerspring Pool & Park. Just minutes from downtown Deerfield, train, 294 Tollway, Edens and HP, seclusion this close to amenities is very rare! 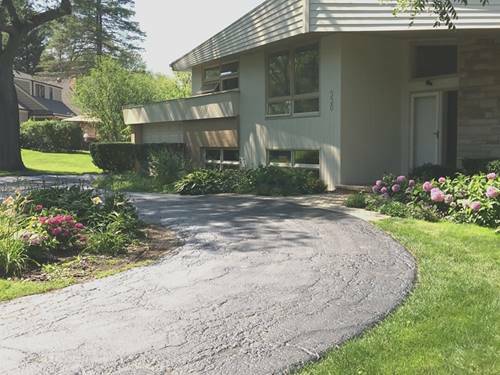 For more information about 330 Landis, Deerfield, IL 60015 contact Urban Real Estate.